I’m often asked what happens at the RBG Horticulture Center in the winter. Well, it’s a lot of planning and a lot of seed ordering! I’m fortunate to have the task of choosing the vegetables for the Spring Plant Sale (May 11-14, see Rotary Botanical Gardens website for details). 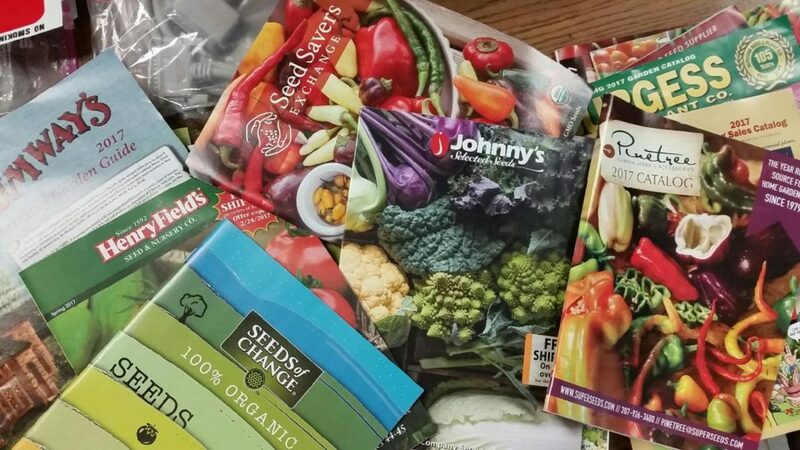 I spend hours drooling over seed catalogs and talking to fellow gardeners to decide which vegetable plants to offer at the sale. This year’s sale will comprise both hybrid and open pollinated/heirloom varieties in an amazing array of colors, shapes and sizes. Sure, there’ll be red beefsteak tomatoes, but there will also be green saladettes, black cherry tomatoes, purple slicers, yellow, orange and even striped tomatoes, too! There will be small-sized versions of many of the vegetables, perfect for container or patio gardening. 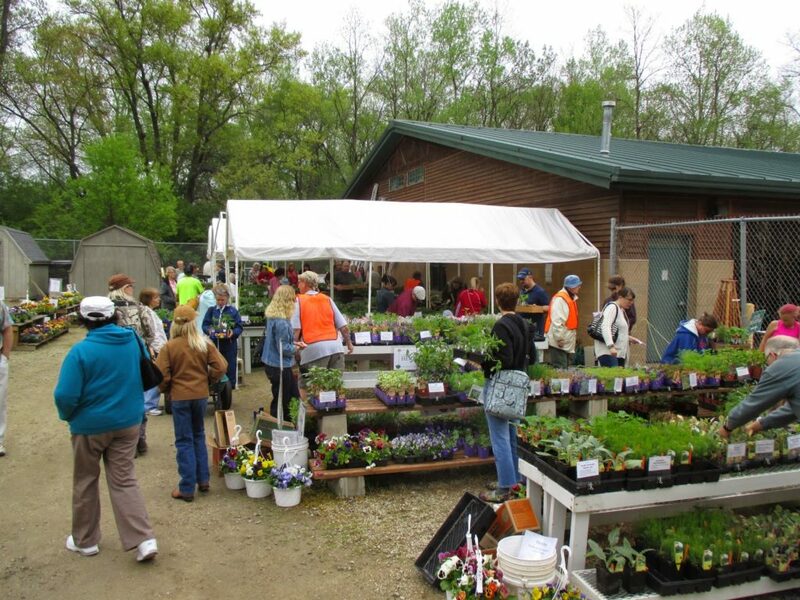 The Spring Plant Sale is a great place to get vegetable plants that are not normally available to the average gardener. ‘Carbon’ tomato – (Solanum lycopersicum syn Lycopersicon esculentum) My favorite tomatoes are the ones labelled brown or black. They tend to have complex, earthy flavors (very terroir!). ‘Carbon’ is one of the darkest of the so-called black tomatoes, with brick-red flesh. I grew this open-pollinated variety last year and neglected it terribly, yet it produced an abundance of beautiful 10-12 ounce tomatoes for me. ‘Numex Suave Orange’ habanero pepper – (Capsicum chinense) From the breeding program at New Mexico State University, this habanero has very little heat (about 800 Scoville Heat Units – the typical habanero registers up to 350,000 SHU!). Suave means smooth or mild in Spanish, and this low heat cultivar allows the distinctive habanero citrus flavor to be actually tasted and enjoyed! However, if searing heat is what you seek there will be plenty of typically hot habanero, jalapeno, serrano, cayenne, tabasco, aji and Thai peppers. We are able to grow hot peppers very well here in Southern Wisconsin, especially during hot summers. ‘Genuwine’ tomato – (S. lycopersicum) Part of the Heirloom Marriage ™ series developed by Ball’s Panamerican Seed, ‘Genuwine’ is a cross between two popular heirlooms, ‘Costoluto Genevese’ and ‘Brandywine’. The result is a hybrid tomato that carries the great heirloom flavor of its parents but matures earlier and also has much improved quality, flavor and yield. ‘Aunt Molly’s’ ground cherry – (Physalis pruinosa) Growing ground (husk) cherries is one of the best ways to introduce children to gardening. What could be more fun than picking these sweet little fruits straight off the vine, peeling back the dried husk (they are the sweet relatives of tomatillos, Physalis philadelphica) and popping them into your mouth? ‘Aunt Molly’s’ is a Polish heirloom that is easy to grow and prolific. Ground cherries can be used to make fruit salads, jams, salsas and pies. ‘Little Fingers’ eggplant – (Solanum melongena) This compact eggplant is the perfect size for container growing. Eggplants are not only delicious but also quite beautiful, so grow these on the patio! The fruit are dark purple with tender flesh and few seeds. Harvest these when they are the length of your finger or allow to grow longer. ‘Little Fingers’ would be great to grill or stir fry. ‘Sweet Dani’ basil – (Ocimum basilicum) ‘Sweet Dani’ has an exceptionally intense lemon flavor due to a high concentration of citral in its essential oils. I love growing basils in containers near my back door or along the edge of a path in hopes that visitors will brush against the foliage and release the fragrance. This basil is great with fish, salads and even desserts. 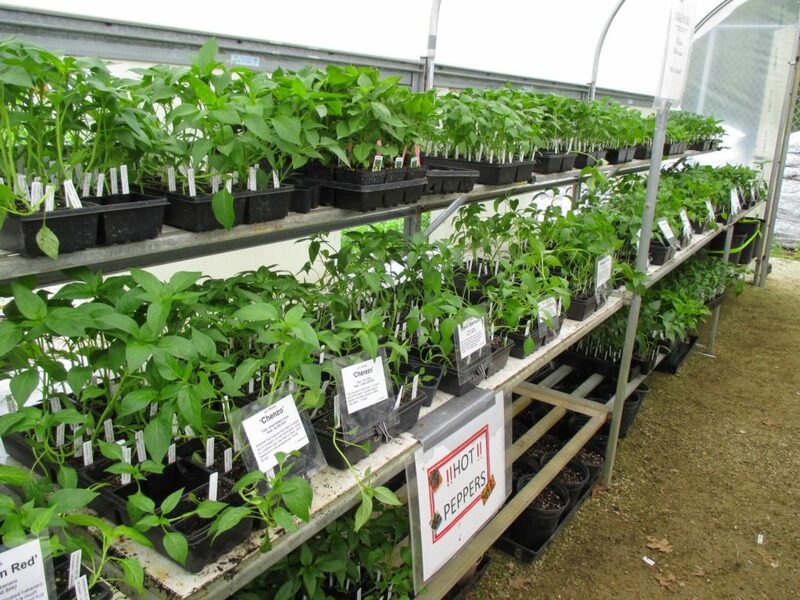 The Spring Plant Sale will include over 100 varieties of tomatoes, sweet peppers, hot peppers, ornamental peppers, eggplant, basil, tomatillos, ground cherries, parsley, cilantro, okra, and beet (in addition to a huge selection of herbs, and also perennials, shrubs, pansies and roses). This year there will be a special offering of a dozen vegetables from our Heirloom Garden collection. The complete list of the vegetables and herbs will be posted on the Rotary Botanical Gardens website by early March. 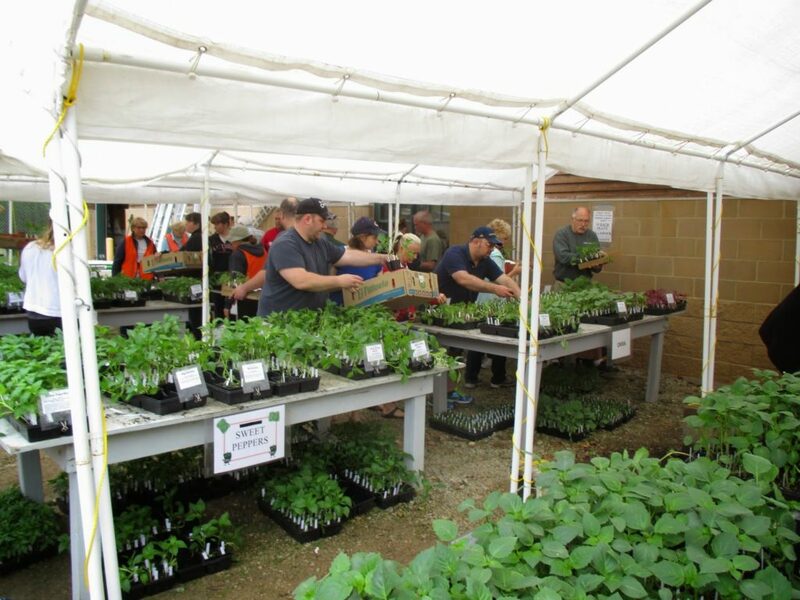 Photo credits: Thank you to Mark Dwyer for supplying RBG plant sale photos for this post. Janice Peterson has been on staff as a Grounds Horticulturist at RBG since 2002. 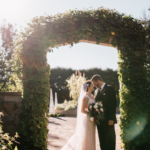 She has been involved in a variety of projects including: the Thomas Jefferson Garden, the Heirloom Garden, and the Horticulture Building vegetable and perennial beds. 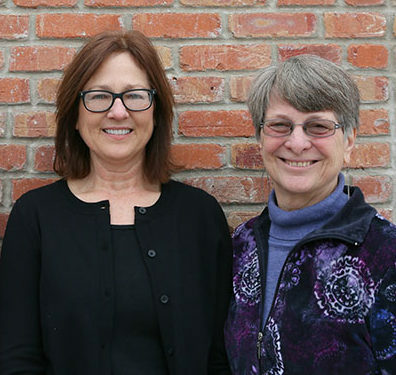 She also helps organize our spring and fall plant sales, maintains the educational cutting display in the Parker Education Center, and leads a weekly gardening group for young adults with disabilities. ← Kong® Coleus & Much More!